If anything was clear from the first movie, the Fantastic Beasts’ Series, unlike the book, wasn’t going to be limited to the exploration of Magical Creatures across the World, something for which the Newt Scamandar character is known for. Rowling, instead, seemed particularly keen on Grindelwald right from the first movie. However, Rowling amps up the focus on Grindelwald with this sequel to the Fantastic Beast movie. The idea here is to introduce the World to the incredibly powerful dark wizard. Someone who isn’t just evil, but has the ability to sway wizards his way, through mere words. One could argue, he’s probably even more dangerous than Voldemort. 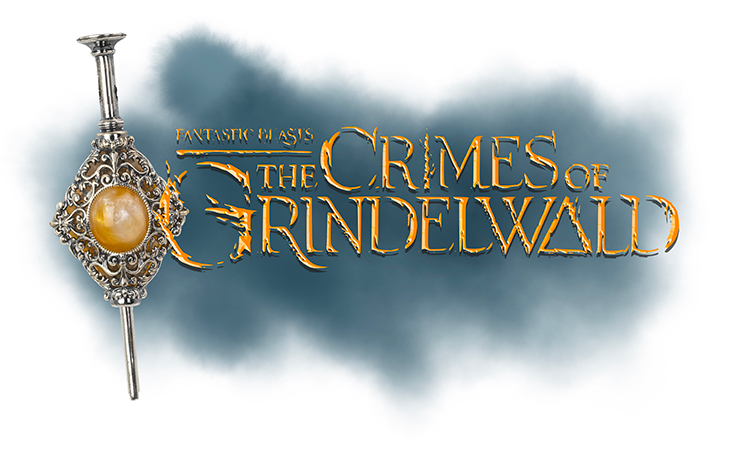 With the stage set for another thrilling series that takes cues from the Wizarding world’s history as mentioned in the original books, one would think there’s little that can go wrong here. Turns out quite a bit can! Being a sequel to the original Fantastic Beasts, Crimes of Grindelwald, has a lot going on here. First, the movie needs to address the stories of the newly introduced characters of the previous films, then it needs to introduce Galert Grindelwald’s character and the nature and purpose of his evil. But Rowling as the writer, doesn’t just stop at these two essentials, as the action shifts to Europe, she goes on to introduce even more new characters and a bag of mysteries of their own to solve, but not only that, Rowling also finds a way of referencing old characters and instances from the Harry Potter books, trying to evoke a sense of nostalgia as well. With so much going on, there’s hardly room for developing the characters. The most under served is that of Grindelwald, who seems to miss out on the screentime and ultimately we never fully understand how powerful and evil Grindelwald is. To top that there are just so many mysteries thrown into the movie that it becomes quite a mouthful to take them all in once they start unravelling. But what’s on screen isn’t all too bad. Crimes of Grindelwald is an engaging watch at the very least. Eddie Redmayne as Newt Scamandar is just as good as the first outing, Jude Law as Dumbledore maintains a perfect balance of calm and clever, he’s a much better representation of Dumbledore’s character than in some of the Potter movies. It’s also fun to take another trip to the ever expanding magical universe of Harry Potter, it’s fascinating to see Rowling expand the universe to other countries instead of just keeping it to the United Kingdom. For the Potter fans, there’s a good mix of magical nostalgia and the fascinating new expansions. With an intention of creating another engaging Harry Potter series, Rowling had a great mix of characters to start with. But with the spells flying in all directions, it seems Crimes of Grindelwald has missed the mark by quite a lot. Galert Grindelwald is possibly more dangerous, stronger and more relevant to our times than Voldemort, but he needs a better platform to show the mirror to the global political climate. Listen Free Tamil Songs & Video Online! Listen Tamil Songs And Video!